If It Has Your Name On It – It Has To Be Good! 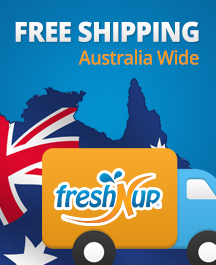 Freshnup Wipes excels in putting your business and brand into your prospects and customers hands and minds with attractive high quality branded individually packed wet wipe sachets, suitable for all product applications, promotions or sampling campaigns. With us you and your customers get a unique benefit unlike any other. Our private label hand wipes sachets are unique and offer mutual values and benefits for both our clients and their customers and every customer who has used our wipes in their advertising and promotional strategy has noticed an increase in customer loyalty and satisfaction, sales and branding due to our product. Who are these are services and businesses using Freshnup wipes? #5. Popularity and Demand: People care about hygiene. Our anti- bacterial wet wipes are always in demand in public, home, work or any place. Most people are glad to receive something to clean their hand, wipe their face, and have a feeling of refreshment especially after long interacting with people or handling food. #6. Easy to Distribute: Our custom promotional business wet wipes comes in a dispenser box, fit easily under/ behind/ top of your counter, easy to transport and store. Unlike large bulky items such as stress balls or mugs where you can only take limited number because of their size, hundreds of our wipes can be packed in a single box which allows you to distribute them freely in greater numbers. #7. Cost Effective: With prices as low as $0.07 a piece, they are much more affordable than most other promotional business items that offer comparable advertising space, including traditional old fashion business cards and you’ll save on the costs of napkins, serviettes and paper towels almost instantly, not to mention, water bill, soap, and time wasted by staff to keep your bathroom clean and tidy…. #8. Portable and practical – our hand sanitary wet wipes are portable, practical, handy and convenient and can used by your customers before or after a meal, carried in their bag or wallet or car and used whenever needed. #9. 100% Guaranteed & Environmentally Friendly – You get a product that’s 100% guaranteed to be 100% safe that’s environmentally friendly and bio-degradable that’s alcohol free and contain anti-bacterial elements to improve hygiene. #15. One, Two and 3 colour printing – You receive one, two or 3 colour printing with your business details, logos special offer or anything else you want printed on your wet wipe packaging. As you can see, when it comes to cutting through the marketing noise and clutter Freshenupwipes wins hands down for maximum marketing exposure, affordability and impact. Order yours now by phoning: 1800 911 005 or emailing us here. Why these have more impact than other advertising and promotional products including business cards? Pens have extremely limited print area where you are limited to only a company name. Mugs are expensive ($0.70 or more) and they are bulky limiting how many you can distribute. Other promotional items such as key chains, notepads, calculator or hats cost at an average $1.50 or more while giving you are very limited advertising space. For less than $0.22 a piece no other product will give you full color double sided 3.2 inch x 2.6 inch print area as our promotional business freshnup wet wipes. Business cards – People tend to say they prefer to hand out business card. Well yes, you can hand out business card after each transaction with your customers. Many patrons may feel offended when you hand them one, you may have to chase customers to give their business card, but your customers will never say no to a Freshnup wet wipe with your business on it. No. These wet wipes are widely used in Europe’s, The Middle East and Asia in restaurants, cafes clubs and hotels and other businesses as just a part of providing great service to their clients. People like clean environments and giving them something to help this cause makes your business stand out BIG TIME. Our personalised individual wet wipes make great promotional items. Promotional wet wipes are a cost effective way of attracting new customers through direct mail campaigns, gift bag marketing, in-store promotions, street handouts, trade show giveaways and conference giveaways. Using us you can access to a great range of private labelled or branded wet wipes and standard wipes which are available to order in smaller quantities with fast lead times and high product quality with fast efficient service. Jessie from burger town: “I love ’em! Freshnup Wipes are awesome, they’re like a basin in a little foil pouch. I just loooove these things!! Business’ owners like you want to promote their business to attract customers. Also, customers want a good clean service. Freshnupwipes sachets offer the solution! It advertises your businesses details on both sides of the packaging and it holds a soft lightly scented, anti-bacterial wipes you’re your customer to use before or after a meal or whenever needed and are great for replacing traditional dry napkins, thereby saving you money. Whatever your need or question, take the next step and phone us on: 1800 911 005 or email us here for fast friendly service.